It showed the silhouette of a foldable smartphone's hinge and leaves little scope of doubt regarding the product Huawei is expected to launch at the event on February 24, 2019 in Barcelona. At the moment we don't really know what the Huawei device will look like exactly. Of course, given the current United States trade tensions with Huawei's home country of China and the company's legal woes here in the USA, many of us may never get the chance to bend this particular model. While Samsung reduced the curvature of the screen on its recent Galaxy S models, it hasn't released a flat-screen version in quite some time. The crystal clear image shows how that much larger edge-to-edge screen will look and also reveals the new front-facing camera which will be punched through the screen. We are going to reserve judgement on the devices until we get to see, and play around with, them at Mobile World Congress later this month. The display will be on the outside, which could question the device's safely as far as the display is concerned. South Korean tech giant Samsung gave us a glimpse of its foldable display smartphone past year in November at its Samsung Developer Conference in San Francisco. Huawei has been teasing out the new phone to the media and the teaser picture clearly shows off the folding phone in person. 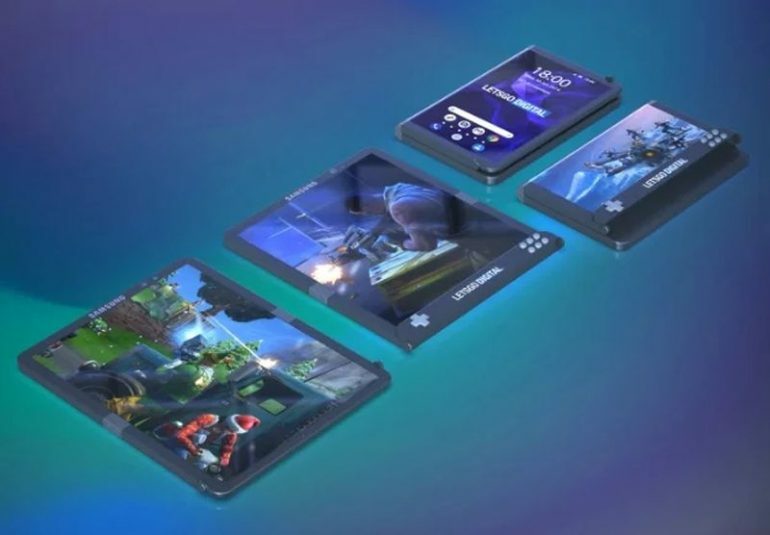 Huawei will not be the only manufacturer to present a foldable smartphone at MWC 2019. Before the invite, it was rumored that the company would have the phone there. Probably because the smartphone display is too small for you. Smartphones of that size include the iPhones SE and XR, or the upcoming Galaxy S10's previewed low-end variant the S10E.